The film focuses on a police trap for online predator Simon Stulls. They soon realize that the extent of his crimes go far beyond that of his own psychological trauma. Nothing quite makes sense – that is, until people involved in the case on both sides of the law start getting murdered. 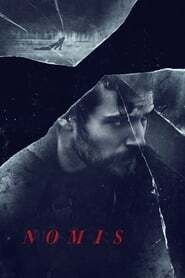 Private Life Nomis stars Henry Cavill, Sir Ben Kingsley, Nathan Fillion, Minka Kelly, Alexandra Daddario and Stanley Tucci. The festival will also host a gala screening of Maryam Keshavarz’s Viper Club, starring Susan Sarandon, Matt Bomer, Lola Kirke, Julian Morris, Sheila Vand, Adepero Oduye, Amir Malaklou Deliler and Edie Falco; special screenings of Global Media Makers FellowNejib Belkadhi’s Look At Me; The Tenacious D-directed animated video series Post-Apocalypto; Terence Nance’s HBO late night series Random Acts of Flyness; and retrospective screenings of Gregory Nava’s El Norte and Ang Lee’s The Wedding Banquet.